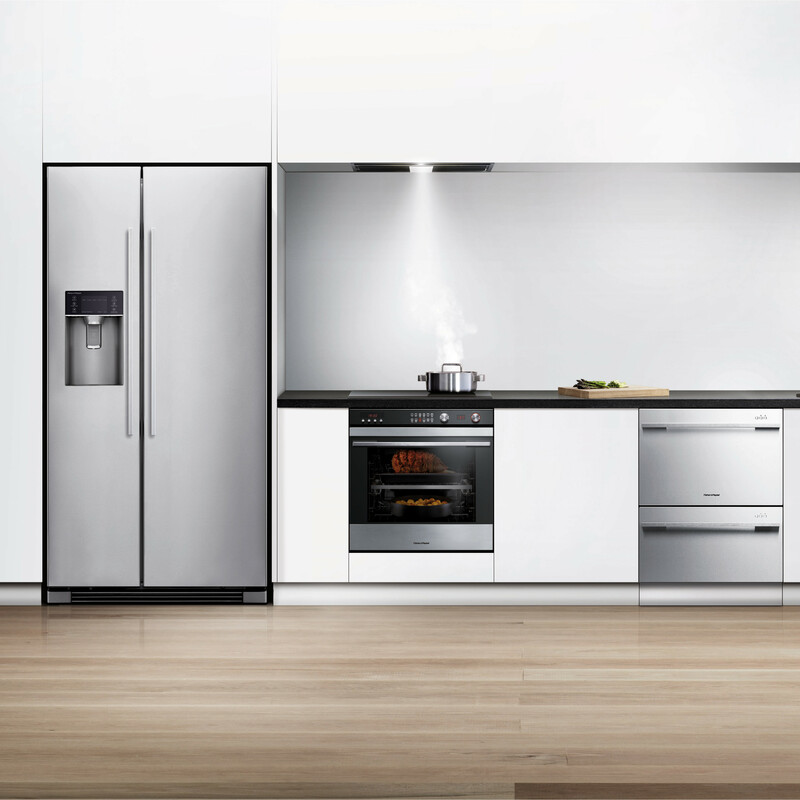 The Fisher & Paykel RX611DUX1 fridge freezer is designed to fit any kitchen style while complementing the Fisher & Paykel family of kitchen appliances. 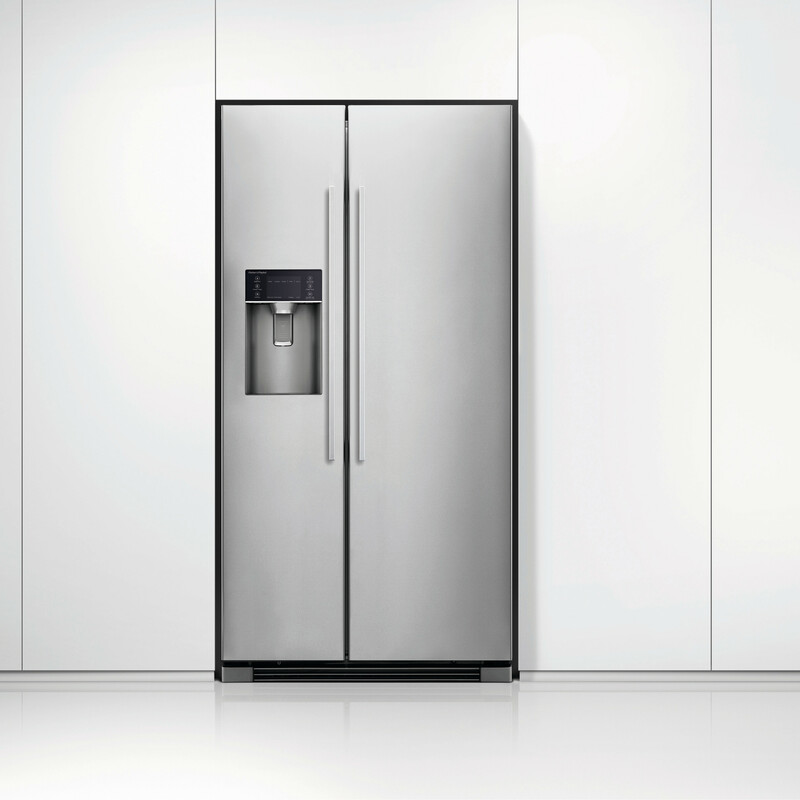 These large fridge freezers are sized to suit families that use both a fridge and freezer every day, with an overall capacity of 628 litres in the regular models and 611 litres in the ice & water models. 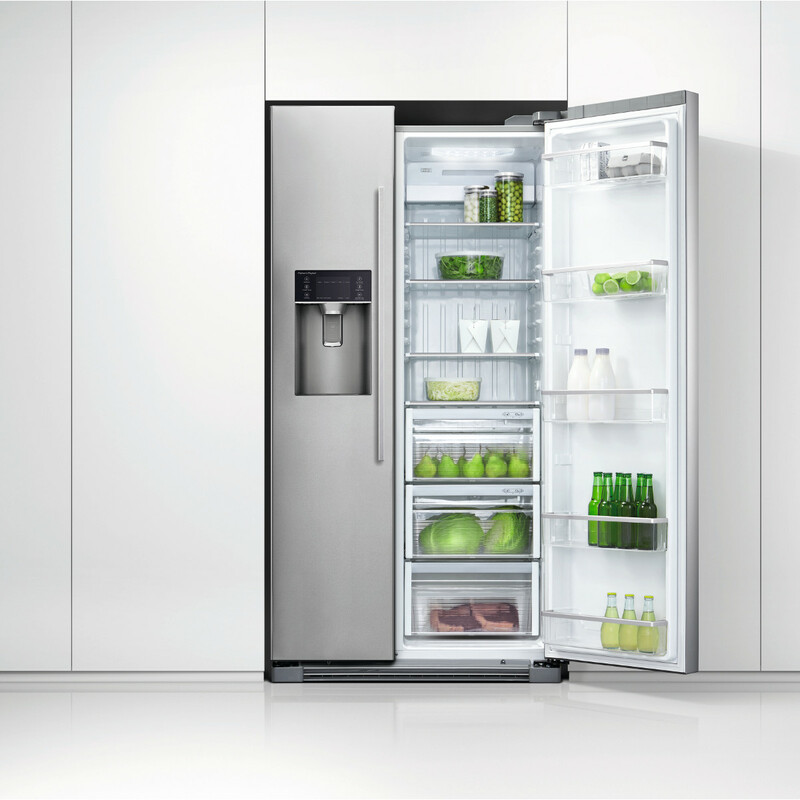 The built-in icemaker makes up to 1kg of ice a day and 6 adjustable shelves provide maximum food storage. 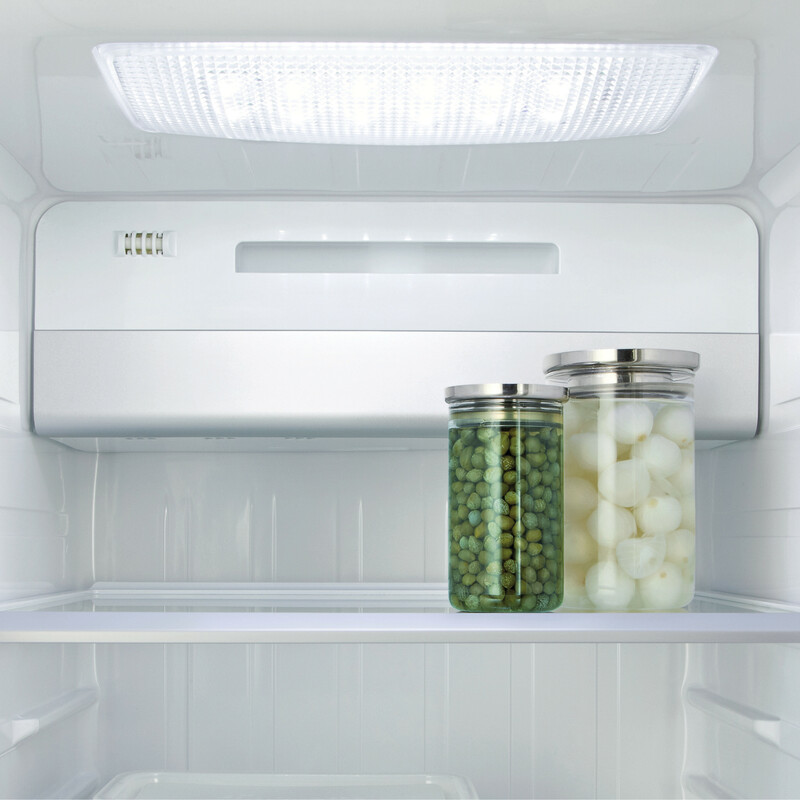 The Holiday Mode setting intelligently lifts the fridge compartment to 17°C; meaning less energy is needed when you are not using your fridge, while the freezer operates as normal. 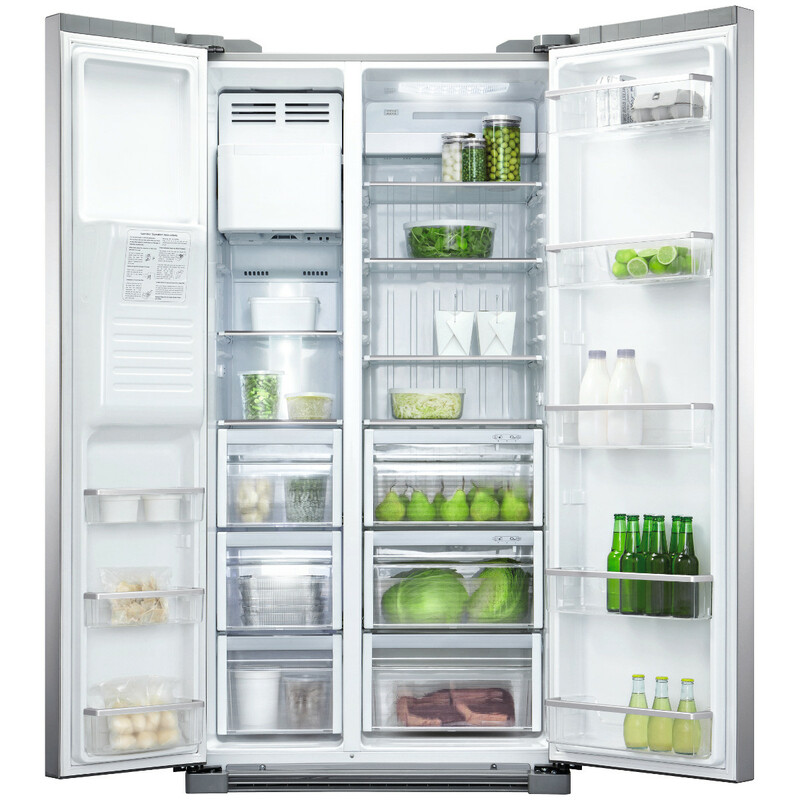 The Quick Cool and Quick Freeze functions chill or freeze food quickly, keeping it fresh for as long as possible – perfect when putting large quantities of food into the fridge or freezer at one time. 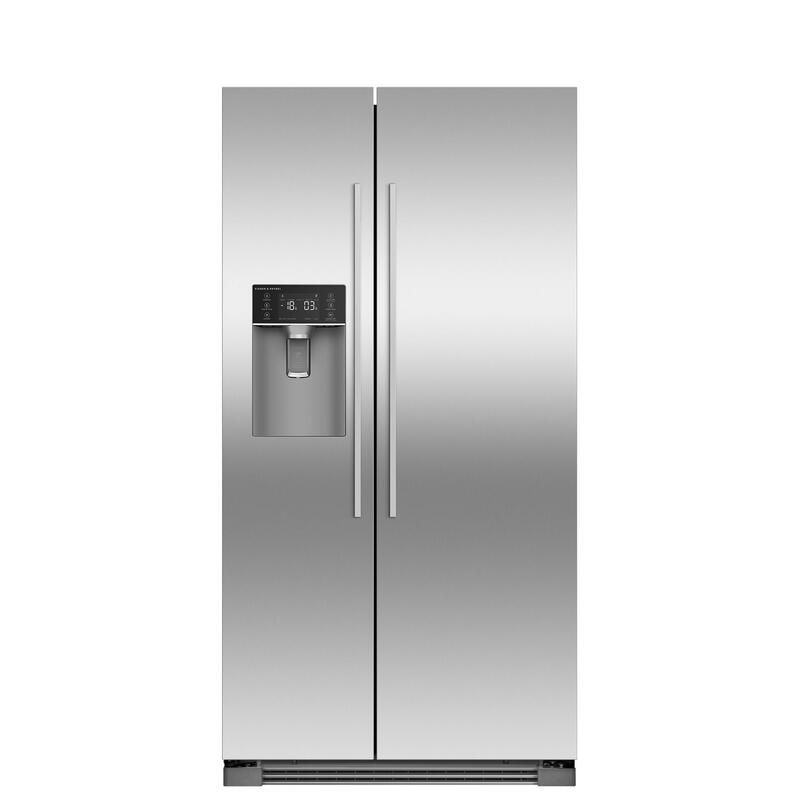 R600a refrigerant is an environmentally friendly coolant that has significantly reduced Global Warming Potential when compared to traditional refrigerants.